Do you need help to lift your workout intensity? Sometimes it can be hard getting in the right mind frame for the tough workout ahead. All we need may be a little help to get us fired up and turn and average workout into a great one. It’s time to check out Stimul8 loaded by Finaflex for the ultimate workout stimulation. 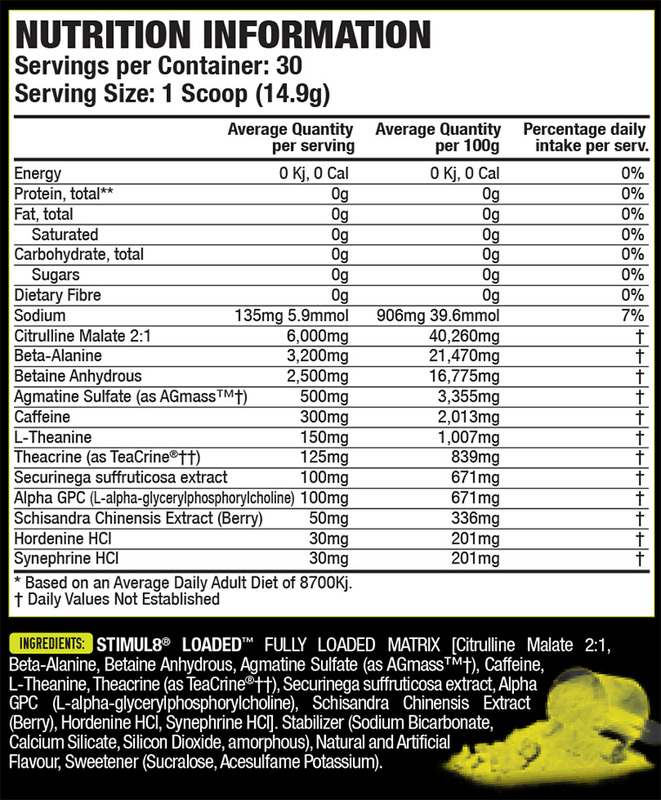 Featuring clinically dosed, key performance boosting ingredients (that we will visit below) this is the ultimate pre-workout, carefully designed and developed to offer support in your quest to become fitter, faster and stronger. Stimul8 Loaded’s powerful combo of not only stimulants, but also nootropics, readies both the mind and body for the toughest workout and challenges you will experience. What are the core ingredients found in this product? Betaine Anhydrous increases markers for protein synthesis, boosts power output and capacity to perform anaerobic work. Studies have shown increases muscle mass, strength and energy and that it may have lowering effects on blood lipid/LDL cholesterol levels.